I am (happily) using Vista 32 bit for a year, both on my home (desktop) computer and on laptop. Both machines are mostly used for development (Visual Studio 2005 & 2008 and Visual Studio 2003 via Microsoft Virtual PC 2007) and usual Office tasks. One of my tasks on work is to test new technologies – so, I decided that it is time to try new Vista: Vista 64 bit. Dell Dimension E520 with Intel Core 2 Duo E4300 @ 1.8 Ghz and 2 GB RAM. Graphic card was NVIDIA GeForce 7300 LE. Once when all drivers are in place, you need software which will use your new operating system to the max. Most of 32bit software will work w/o any problems, via WOW64 technology, and it will benefit from better memory organization (you can utilize full 4Gb under Vista 64, which is not possible under XP) and more registers availabile. While there is plethora of ISO software in 32 bit world (highly recommending Virtual Clone Drive, freeware), things are gloomy in 64 bit world. 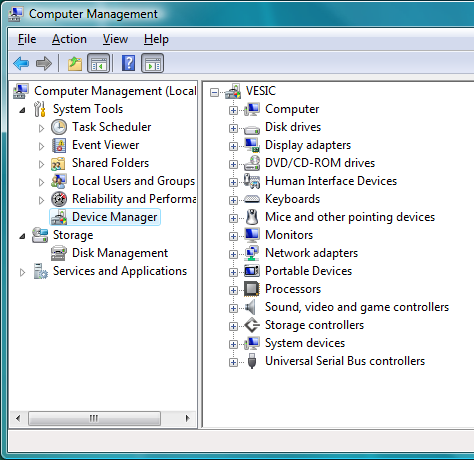 Update Aug 2008: Virtual Clone Drive now does support Vista 64! 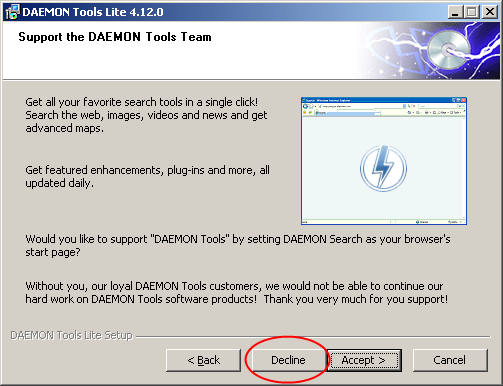 so please use it instead of Daemon Tools. 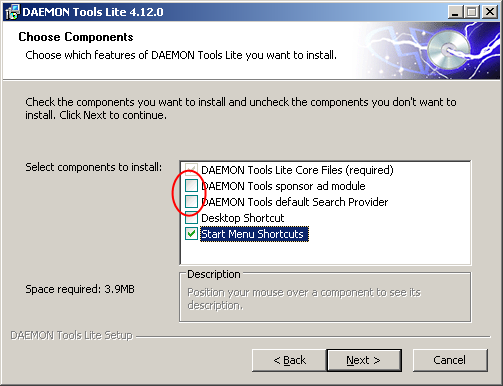 There are some programs that state 64bit compatibility (MagicISO for example) but only one which proved as working under Vista 64 is Daemon Tools. After that, you are fine. There was a bit of a problem setting up network printer (ours is HP LaserJet 4100). There are 64 bit drivers on HP site, but Vista refused to get those installed from network location. I even tried to fool it by installing ghost LPT1: printer and than to add network one – failed. Finally, I installed network printer as “local” one, using TCP/IP connection and install program from HP. After that, printing is fine. Paint.Net is brilliant example of quality program (and it is free) – elegant, efficient and does exactly what is intended for: various tasks around image editing; it is not Photoshop, but I found that I do not need anything “stronger” than Paint.Net – I highly recommend it. “Another installation is already in progress (Error 1618)” and failed installation; of course I used “Run as Administrator” option over Paint.NET.3.22.exe – that did not help. 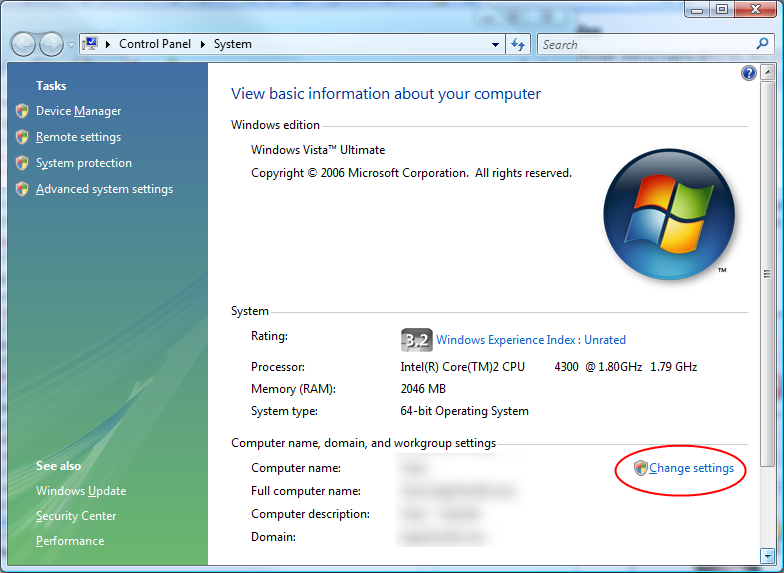 Solution: start CMD prompt as Administrator, and run EXE file from there – installation will go smoothly. If your target database for applications is Oracle and main development tool Quest’s TOAD make sure to install 32bit Oracle client prior TOAD installation – TOAD does not support connection over native 64bit Oracle client. 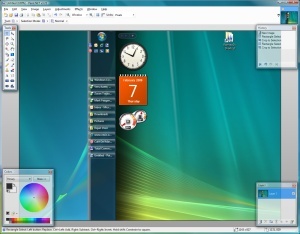 Vista 64 is stable operating system, although it demands bit more of CPU and RAM than Windows XP/Vista 32. It has decent driver base, and if you have more than 2Gb RAM, or your primary application has native 64bit version and/or you are engaged in processing objects which require a lot of memory, it is good OS for you. For more standard usage, I still recommend staying on Vista 32 or Windows XP – there is a wast support for drivers, software and games all around. Regarding Oracle installation, you will need at least version 0g release 3, because previous ones, had problems with parenthesis in folder names. Thanks for info; your article is pointing out problems installing Oracle 64 bit client – I did not try that yet. I have made the same – clean install of Vista on ACER NB 9800 series. As the machine is full of HW it took me a bit longer to install all HW – but got it up and running at the end. All Visual Studios as well. Although I installed a version with SP1 already I had to download about 10 GB of updates – 1 of them bringing Vista to BlueScreen – that was a driver for touch pad – without it all was ok, even the touch pad. 1 thing I have to say is TOAD: one has to run it as Admin (Version 9.7.2.5 with ora 10g) in order to run properly – otherwise u get “Can’t initialize OCI. Error -1” message. Besides that I must say that up till now I am OK with Vista. As said many times – more resources consumption, but I have such a feeling that Vista manages RAM better and more flexible. Moreover due to improved threads management and their processor afinity I have a more fluent feeling from Vista that XP. Lets see what W7 brings. W7 is brilliant – on same configuration, it is much smoother than Vista. However, all my production/development machines are still Vista – it is too early for W7 in that kind of environment. Regarding TOAD: browse Knowledge Base of Quest – there could be different problem (like Oracle client younger that 10.2.0.4.0 in path with parenthesis) that elevation – I am running TOAD 9.7.2.5 with Oracle client 10.2.0.4.0 (Oracle Database 10g Release 2 Patch Set 3) w/o need to run it as Administrator.